A game where you mine ores to sell for money, to get to the moon! Why is this new version called build 62.1 and not just build 62? I meant to say something about this game earlier but I've been caught up on projects and a recent game jam. I personally liked the idea behind this game and the progression system, however it was dragged on a little longer than I think it should've been, but farming does take a while I guess. If there are any questions you would like to ask or suggestions for any thing I should add, please tell me! It's very helpful. Thanks a lot! I will be adding shadows in the future, didn't have enough time before this jam ended. Hope you have fun playing! Thanks! That means a lot to get some awesome opinions! Sorry I didn't reply earlier, been busy with a new project. EDIT: I just remembered you're the guy that made the "Cool guy teaches maths" games, I loved those ones! Seems weird that someone known like you would say 10/10 on my only game, thanks though! Welp. I'll have to change all my plans. I want to make a racing style game, but I can't find any car related assets besides the racing kit (which is what I got the idea from). Is it fine if I create my own car from scratch? What was going through your mind when you made this jam, seriously. No problem mate, I'll definitely play something you've made also in the future and talk about it like this. Cool game though, keep it up! Make a new game or load a game, and go into the pause menu and their should be a "Host Server" button there. If anyone has any questions about the game, feel free to ask! The engine I'm using, which is blender, there is an option in the save menu to compress the file size. The main problem I'm having is that I can't get it (so far) below 1.5 MiB, except if I try to severely lower the quality of texts and other map details. But when I use the Blender compress option, it changes the file size to (Currently): 1.59 MiB --> 340 KiB. I want to know if by compression, you mean submitting it as a zip/rar file isn't allowed? Omg, so that's what that thing was in the sky! So...when you said dream, did you mean a dream like while you slept or an idea that came to mind? It seems more like the first, and if so this is a weird dream. Tachyon community · Created a new topic Is this online posssible? If so, can we have a topic on here set on sticky about server's we could play on with randoms? My Little Blacksmith Shop community · Replied to Azzets in I cannot use my mouse to turn instead i can use only arrow keys help!! 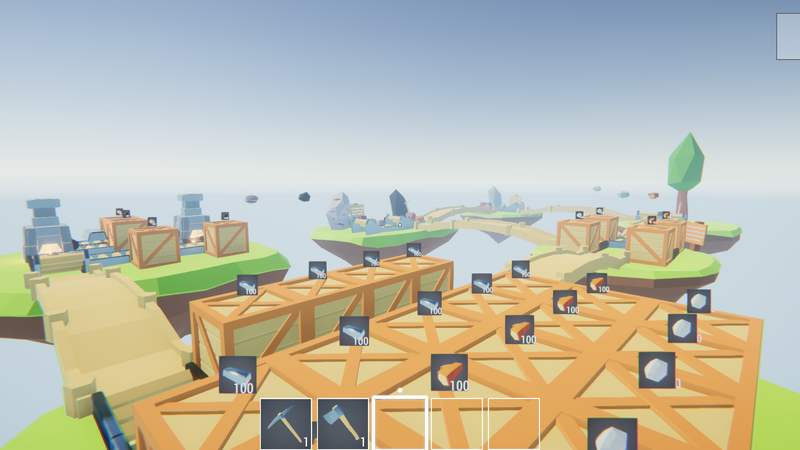 My Little Blacksmith Shop community · Posted in Is this the dev version? What version do you have? 0.0.9e is the current fully available version, and version 0.1.0 is the version the patrons get for donating currently. My Little Blacksmith Shop community · Posted in I cannot use my mouse to turn instead i can use only arrow keys help!! Check your settings to make sure they're set right. If anything of the sort doesn't work you might want to try uninstalling and re-downloading. We are all fully aware that if you have an item underneath you and you pick it up, you will start flying. A fix for this may be coming to the soon-to-be-released version. Why are you commenting in such an old post? But anyway you can't un-equip anything in slots 1, 2 and 3 except for exchanging them for better tools. To un-equip and re-equip slot 4, just press 4 (default controls). 2 in the mine, at the door to the mine if you stick to the left you'll find two and 2 more if you stick to the right of the cliff.